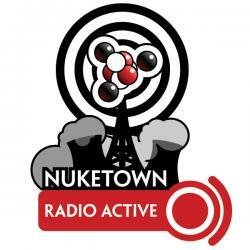 On this episode of Nuketown Radio Active, I dream of a good night’s sleep, remember the adventure that is potty training my son, recount my Xbox 360 “Red Ring of Death” woes and talk about the boatload of games I’ve been reviewing. In Netheads, I try out the “Is Gd” url shortner, test drive the Obsidian Portal gaming wiki, and round out the show by geeking out over the Star Wars RPG game master’s screen. NeutronLad decides he’s had enough diapers. My Xbox 360 died dead. For the second time in 2.5 years, my Xbox 360 is dead. This time though, it wasn’t covered by the Best Buy service plan, so I had send it back to Microsoft … right while I was reviewing an avalanche of games. Turns out renting one is next to impossible, but borrowing well, that’s easier. Jordan missed the Xbox terribly. Solid horror shooter that mixes things up with cool zero gravity mechanics and a location-based space zombie killing mechanic. Loyal to the original game, even if it shifts from third person to first person perspective. Not as deep or extensive as Oblivion, but this is a good thing as you’ll actually be able to replay it. Makes me want to play Gamma World with Star Wars: Saga-spawned rules. Rating: B+ (but a really solid B+). Fun with friends, but more a rental than a buy. Twitter needs short URLs. Tiny URL is flaky, so when I saw friends using is.gd over the summer, I decided to try it. content can be broken down within the post to public vs. GM only, which is nice. Functions as a traditional wiki, including mediawiki style bracketed hyperlinks. Every wiki page has a GM secret area. Terms of service based on WordPRess TOS. Prime plans can restrict access to members of their party or friends. Site map shows locations of campaigns around the country. Can share information with third party sites, e.g. posting wiki updates to blog syndication services. Could really use a forum associated with the campaign site; that would be particularly handy for play-by-posts, but you could get away with comment threads in adventure logs. Game News: Star Wars: KOTOR campaign begins! Plays very fast … so fast that players aren’t ready for their action because they’re used to waiting. Find myself trying to retrain my brain to do scifi … and less monster slaying. Playtest notes for Sessions #1 and #2 are up now. Session #3, which featured skill challenges, will be up this week. Quick-reference screen/fortress of solitude for game masters running Star Wars: Saga Edition RPG. Cover art is a montage of video captures and artwork from the Star Wars films and Extended Universe. All panels are white and light blue on a black background. We’ve been moving away from GM screens in our game, but I like this style of low screen; it’s less of a barrier and more of a game aid. You can still roll those secret rolls, but you don’t have this huge wall in front of it. Everything on these screens is something that I’ve needed in our playtests (especially skill DCs, weapon ranges and – as of last Friday – cone diagrams). Some complained that weapons damages weren’t listed, but honestly I’m ok with that. Players have that stuff on their sheets; they don’t generally have weapon ranges. Even more video game reviews.